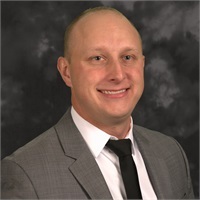 Dylan Kolarcik joined Main Street Financial Group in January of 2014. Being a member of the MSFG team allows Dylan to provide comprehensive and personalized solutions to help clients build, preserve, and pass on wealth taking into consideration their goals and objectives, tailored to each client's unique situation. Dylan Kolarcik earned his Bachelors Degree in Economics from the State University of New York at Stony Brook. After college, Mr. Kolarcik pursued a career with The Garden City Group, LLC, where Dylan had the vital role of overseeing the banking aspect of the settlement fund accounts maintaining the integrity of over 600 accounts at multiple banks with multiple currencies and investment vehicles with over $20 billion in assets. Dylan enjoys spending his free time practicing his golf game, traveling, and trying to experience new hobbies and activities with family and friends.